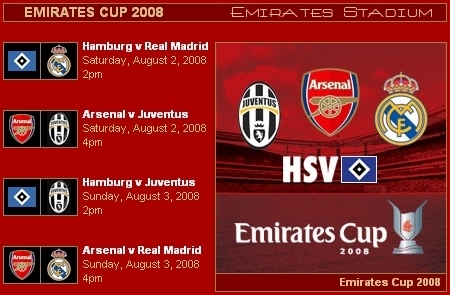 The Emirates Cup, an annual two-day pre-season football tournament held at Arsenal’s Emirates Stadium in London (where each team plays two matches, with three points awarded for a win, one point for a draw, and a point for every goal scored), was an interesting test for Juventus especially in light of their upcoming UEFA Champions League campaign (and preliminary round match on August 12). 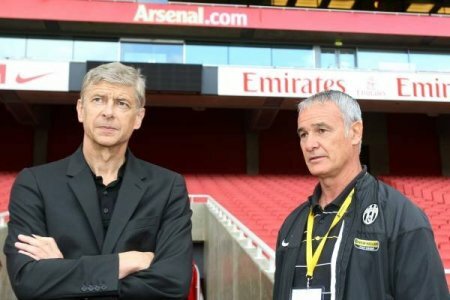 Teams of Arsenal and Real Madrid‘s caliber, are just the type the Bianconeri will have to face when the “real deal” begins in September, so this was the opportunity for Ranieri’s boys to “test their might” in Europe. After the week-end, the global experience for Juventus was mixed. A good win vs. Arsenal on Saturday was followed by a bleak performance against Hamburg on Sunday, a match during which the Bianconeri’s legendary determination arose in the second half, but which also highlighted some rather dangerous holes in La Vecchia Signora‘s backline. A backline which, for their upcoming match vs. Manchester United on Wednesday, will have to do without two of its main elements. With Jorge Andrade’s knee injury still persecuting the Portuguese center-back, it is possible the Turin club may have to grab its shopping cart again and look for replacements. (From Gazzetta): Beating Arsenal on their home turf is never an easy feat, even if that performance is achieved in a pre-season friendly tournament. For that result alone, Juventus deserve a commendation for their match at Emirates Stadium on Saturday, and that commendation actually turns into full marks when one considers the way the Bianconeri have achieved their win. Indeed, the boys of Claudio Ranieri (back for the first time in England since his managing spell at Chelsea) put out a solid performance throughout the whole 90 minutes, imposing their play on the Gunners’ “reserves” in the first half and ably resisting the siege of their opponents when the “big stars” (Gallas, Walcott, Nasri, Adebayor & the like) came on in the second period. Unsurprisingly, the match winner came through yet another goal by David Trezeguet (in offside position though, it must be said) who just wants to remind the Juve board that he is still indispensible for this team. Other positive notes of the night: Chiellini, Sissoko, and Mellberg. Tiago‘s utilization as a Pirlo-surrogate (playing just in front of the backline) provided some interesting results, but the Portuguese midfielder’s still struggling to find his role in this team, and one has to wonder how much longer really will the ex-Chelsea and Lyon player prolong his stay in the Turin club. The match’s first half took a while to pick un pace, and considering Arsène Wenger‘s decision to field a good deal of his “promising youngsters” in the starting lineup, that comes as little surprise. The likes of Justin Hoyte, Kieran Gibbs, Aaron Ramsey, Carlos Vela and Jack Wilshire (not to mentiond Denilson and Bendtner) undoubtedly have a bright future in front of them, but it’s going to take them a little more experience to provide significant punch for the Gunners. Especially in front of a disciplined, solid, compact Juventus team, who will likely remain that way for the much of the upcoming 2008-09 season. They may not provide Brazil-style spectacular football just yet, but their vertical passing coupled with lethal counterattacks should provide plenty for opposing teams to remain vigilant. Especially with finishers like Vincenzo Iaquinta (in stunning form this month) and David Trezeguet (who needs no introduction) up front. Speaking of, the Frenchman proved once again today he doesn’t need an excess of chances to put it in: until minute 34, it seemed as if Trezegol was just another of the 60,000 sold-out crowd who had come to watch the match, but within two minutes got two touches on the ball who ended up in the back of the net. The first one (header) was ruled offside, the second one (tackled deflection on a Iaquinta free-kick) wasn’t, even though it should have been. Regardless, 1-0 Juventus. Poked in their pride at trailing by one in front of their home crowd, Arsenal got back to work and gave a few glimpses why Wenger is so keen at developing their youth component. In minute 25, Ramsey got behind a good cross from the opposing wing and lashed out a powerful diagonal shot from the left (forcing Buffon to an attentive save), while up front the movement of Vela and Bendtner was keeping Mellberg and Chiellini busy, with the latter not hesitating to resort to “rough” treatment when necessary. The Juve backline held however, aided in the defensive work by a more and more indispensible Sissoko. The score was thus 1-0 at the break. At the restart, Wenger decided to bring on the “heavy artillery” so-to-speak as William Gallas, Abou Diaby and Emmanuel Adebayor were all called to duty for the second half. Speaking of the Togolese striker (who despite the courtship of AC Milan and Barcelona decided to renew his contract with Gunners for 4 more years), he quickly became the main source of danger for the Juve defense. Add to that the vivacity of Theo Walcott (on for Eboué) and the technique of new recruit Samir Nasri (on for Wilshire), and Arsenal were looking a lot more impressive. Juve were being pushed back to the ropes, but Claudio Ranieri was determined to hold the win against his prestigious opponents. Bringing out Trezeguet, Nedved, and Iaquinta for Salihamidzic, Camoranesi, and Amauri, Juve effectively turned to a 4-4-1-1 formation, the Brazilian striker carrying alone the weight of the attack in front of Mauro Camoranesi. It was enough for the Bianconeri to weather the storm, as Adebayor had 3 good successive chances on net but couldn’t aim his shots precisely enough (or found Gigi Buffon ready). 1-0 was thus the final result for a well-deserving Juventus team. Arsenal would have to find some consolation in Sunday’s match vs. Real Madrid (victorious 2-1 over Hamburg, thanks to goals by Ruud Van Nistelrooy and Daniel Parejo). ARSENAL (4-5-1): Fabianski – Hoyte (59′ Sagna), Djorou, Senderos (46′ Gallas), Gibbs – Eboué (59′ Walcott), Ramsey (46′ Diaby), Denilson, Vela (46′ Adebayor), Wilshire (59′ Nasri) – Bendtner. (bench: Almunia, Clichy, Hoyte, Lansbury, Randall). Coach: Wenger. JUVENTUS (4-4-2): Buffon – Grygera, Mellberg, Chiellini, Molinaro – Marchionni (78′ Poulsen), Sissoko (82′ F.Rossi), Tiago (78′ Ekdal), Nedved (61′ Salihamidzic) – Trezeguet (70′ Camoranesi), Iaquinta (70′ Amauri). (bench: Chimenti, Ariaudo, Legrottaglie, Zebina, Del Piero). Coach: Ranieri. (From Gazzetta): Juventus‘s fate in Day 2 of the Emirates Cup in London was not as glorious as Saturday’s. After their good win vs. host team Arsenal, the Bianconeri suffered an undeservingly brutal loss at the hands of Hamburg the following day, a whopping 3-0 with goals by José Paolo Guerrero and a Ivica Olic double. And yes I did say undeserving, because as much as Hamburg did indeed play better for the majority of the match (especially the first half) the Bianconeri had a good 5-6 chances to score and a perfectly valid goal by Camoranesi called off in the second period, almost as if to compensate Trezeguet’s offside goal from the eve. In the end, with the defense falling asleep in the final three minutes, Olic was able to hit Chimenti with two stoppage time rippers that left Juve’s backup keeper no chance. 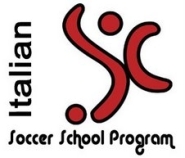 To make matters worse for Ranieri: the simultaneous injury of Dario Knezevic and Cristian Molinaro. Early reports say the Croatian defender suffered a “twisted left knee trauma” (in a clash with compatriot Olic), while his teammate endured a “strong contusion to the left hip”. The latter sequence was actually dramatically funny to watch: as Molinaro and Zidan were running after a deep pass in the Juve half, Chiellini preceded them both and tackled the ball back to his own keeper, in so doing crashing into both his teammate and his opponent just as if they were bowling pins. Somebody ought to tell Keyser Giorgio to take it easy during training/friendly matches, and leave the Matrix-style tackles for Serie A & Champions League. In any case, both injured players returned to Turin for further examination, and will miss Wednesday’s friendly vs. Manchester United. But back to Sunday’s game itself. The first half, as already mentioned, was largely dominated by Hamburg, and not so much because of the German team’s own efforts but rather due to Juve’s inability to create anything substantial. The midfield line was appearing very uninspired, with Poulsen instructed to recover possession but not much more, F.Rossi and Ekdal handicapped by their lack of experience, and Camoranesi still trying to find his best form. The striking duo (Del Piero-Amauri) on the other hand was showing nice touches of class, with the Juve captain trying to provide the missing spark for his teammates (with moderate success). On the other hand Hamburg, who on Saturday managed to stand firm to Real Madrid (the Merengues achieved their 2-1 victory only in the final minutes), showed some interesting bits of play and that despite the absence of their main playmaker Rafael van der Vaart (a Juventus target for much of the past season, but now imminently set to join… Madrid it seems). Not that Martin Jol’s team was lacking quality mind you, what with a certain Zidan in the team and all. Yeah I know an “E” is missing in that name, but while Mohamed probably has very few things to teach to Zinedine (restraint maybe? I digress…), the Egyptian midfielder’s certainly got a few tricks of his own. Such as the time when he dribbled 2-3 Juve defenders in succession, only to blast his shot on the outside part of the goal mesh. Kind of a warning sign for Antonio Chimenti, who after a few of years spent at Cagliari & Udinese came back to Juve, happy to play the role of Buffon’s reserve. Indeed, exploiting a good aerial through ball (on a defensive lapse of Legrottaglie), Hamburg’s José Paolo Guerrero got through on the left side and sent a low shot past Juve’s keeper. 1-0 Hamburg at the break. At the restart, Zebina and Rossi left their place to Grygera and Molinaro, shortly followed by Knezevic (injd) for Chiellini. Evidently, Ranieri’s half-time talk had its effect because Juventus came back on the field a lot more aggressive and motivated. On a Chiellini-orchestrated and Del Piero-finalized counter-attack, the Juve captain set up Hasan Salihamidzic all alone in front of the net, but the Bosnian midfielder messed up his first touch and allowed Frank Rost to control the ball. Shortly after, Hamburg’s nº1 got called into action once again as Del Piero delivered a good cross for Amauri’s powerful header, parried away by the German keeper. The two Juve strikers were now working well together, and Ranieri’s attack benefited even more from the entrance of Vincenzo Iaquinta (on for Poulsen), because the ex-Udinese forward almost transformed into goal his first touch of the game. However, the chipped shot which had worked so well against another German team found the ready hands of Rost once again. On the upside, Juve’s much-anticipated “tridente” (attacking trio) seemed to work rather well in the short while it was utilized. There was virtually only one team attacking at this point, as Juve accumulated chance after chance and even managed to put one in 10 minutes from the end. Camoranesi’s goal however, was called off for a non-existent offside position. And with Ranieri’s boys all pushing forward to get the equalizer, it was inevitable the Bianconeri defense would concede one space too many. Exploiting a counter-attack first, then the collective “sleepy-time” of the Juve backline, Ivica Olic managed to increase Hamburg’s lead to 3-0 in stoppage time. A result which, very clearly, did not reflect the game’s overall 90 minutes but which allowed Hamburg (who would have thought?) to win their first trophy of the season, the 2008 Emirates Cup (Arsenal beat Real Madrid 1-0 in the other game, thanks to a penalty goal by Emmanuel Adebayor). HAMBURG (4-3-3): Rost – Boateng, Reinhardt, Benjamin, Atouba – Jarolim (70’ Ben-Hatira), De Jong (46’ Putsilo), Trochowski – Zidan (87’ Torun), P.Guerrero (65’ Aogo), Olic. (bench: Mathijsen, Hesl, Chrisantus, Pitroipa, Stepanek, Kunert, Sam) Coach: Jol. JUVENTUS (4-4-2): Chimenti – Zebina (46’ Grygera), Legrottaglie, Knezevic (55’ Chiellini), Salihamidzic – Camoranesi, Ekdal (52’ Marchionni), Poulsen (72’ Iaquinta), F.Rossi (46’ Molinaro, 88’ Tiago) – Amauri, Del Piero. (bench: Buffon, Ariaudo, Mellberg, S.Esposito, Nocchi, Trezeguet) Coach: Ranieri. This entry was posted on Monday, August 4th, 2008 at 10:54 am	and is filed under English Premiership, Juventus, Pre-season. You can follow any responses to this entry through the RSS 2.0 feed. Both comments and pings are currently closed.